Opcon, the energy and environmental technology Group, has received official approval from Lloyd’s Register for the first reference installation of the marine application of Opcon Powerbox, which generates electricity from waste heat. 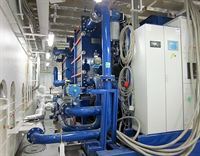 Both Opcon Powerbox ORC and Opcon Powerbox WST, and the first installation aboard the Wallenius vessel, M/V Figaro, has received official approval during the summer for use at sea. The first reference installation is expected to achieve fuel savings of 4-6%. 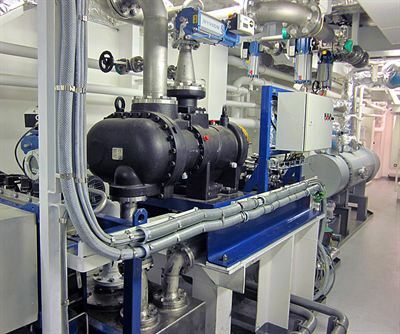 The technology is expected to achieve fuel savings of 5-10% in other installations. “Behind this success lies some enormous hard work carried out to integrate these systems. This is a milestone in our efforts to adapt our pioneering technology for production of electricity from waste heat for use in marine applications. We will now fine-tune, test and verify the improvement in energy efficiency that this system offers in various operational scenarios at sea. By utilising waste heat and recovering the energy, significant environmental gains can be made. Considering today’s oil prices and the efforts being made by the IMO, for example with the coming International Energy Efficiency Certificate (IEE), we believe that this product really has come at exactly the right time,” says Rolf Hasselström, President and CEO of Opcon AB. Large vessels currently consume large amounts of fossil fuels in their operations, which means that lower fuel consumption means a direct reduction in emissions of CO2, NOx and sulphur. Opcon estimates that more than 1 000 newly built vessels a year as well as many existing vessels could benefit from Opcon Powerbox technology. The entire merchant shipping fleet is estimated to account for 4-5% of global emissions of CO2. The reference installation of Opcon Powerbox is a collaborative venture between Opcon and Wallenius Marine, supported by the Swedish Energy Agency. Renewable Energy focuses on the following areas: electricity generation based on waste heat, bioenergy-powered heating and CHP plants, pellets plants, drying of biomass, handling systems for biomass, sludge and natural gas, industrial cooling, flue gas condensation, treatment of flue gases and air systems for fuel cells. Engine Efficiency focuses on energy-efficient solenoid technology and ignition systems for combustion engines including ethanol, natural gas and biogas engines.